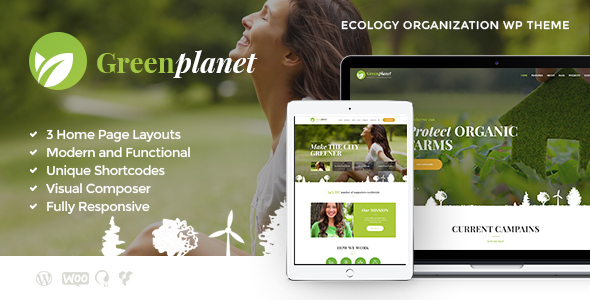 A pack of cool features is integrated into the theme: Visual Composer support â€“ to create infinite variants of page layouts; Essential Grid Plugin â€“ to make your eco gallery look stunning; WooCommerce support â€“ to let you sell your eco-branded goods online, etc.- all that, to give you a chance to experience the benefits of using our theme! As a bonus, we are giving you a chance to try the cool Donation Plugin by ThemeREX for free. Itâ€™s already included into the theme and may be used for raising money for scientific research or social campaigns.